Loved my new Cinch bindings and I was pleasantly surprised they matched my board perfectly! My girlfriend got me a new snowboard right before our first trip of the season as an early Christmas gift. I wanted to take my old board and the new one on the trip. The original plan was just to use my old bindings for each board. I could just switch out the bindings from board to board, but I’m very lazy. 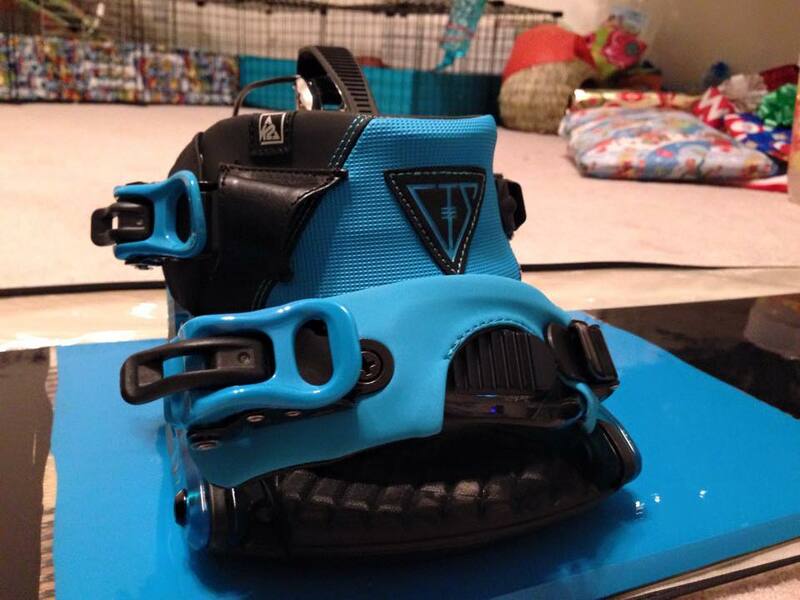 So I decided to get new bindings, the K2 Cinch CTS Snowboard Binding. I was very impressed with them and absolutely love my purchase. Here is my review I wrote up and submitted to the online seller. I was a little hesitant to order these bindings as I read some bad reviews. I was very pleasantly surprised after getting them and using them though. They are a little on the heavy side, but I’m not really concerned with that as I’m not a pro. Whatever little weight it adds I wouldn’t notice. I had heard some complaints about them being hard to get in, but I had no problem at all. When the high-back is pushed back I could easily slide my foot in. Then it was so easy to just pull them up and snap them in place. It does take a little effort but that is good so you know they won’t just fly off when you’re riding down the mountain. I could pretty much get into the bindings from any position on the mountain. I previously had the K2 Auto Bindings, but these make strapping in even easier. I’m so happy with my purchase and would definitely recommend this to anyone that wants to strap in and go!